Two components of an Emerging Profile of a Young Cardiothoracic Surgeon were researched by the Author for the case of Dr. Isaac George, Assistant Professor of Surgery, Division of Cardiothoracic Surgery, Department of Surgery, New York Presbyterian Hospital/Columbia University Medical Center , New York, NY. I noted with interest Dr. George’s second publication, to be about a very well known surgeon in the US and Europe, John Benjamin Murphy. written by Dr. George and two other colleagues, George I, Hardy MA, Widmann WD. published in Curr Surg. 2004 Sep-Oct;61(5):439-41. I assume that Dr. Murphy’s contributions to Thoracic surgery were of interest to Dr. George to inspire him to write on the subject and elect that Specialty in Surgery. Murphy was first in the U.S. to induce (1898) artificial immobilization and collapse of the lung in treatment of pulmonary tuberculosis. He was a pioneer in the use of bone grafting and made contributions to the understanding and management of ankylosis as well as independently proposing artificial pneumothorax to manage unilateral lung disease in tuberculosis. Journal of the American Medical Association, Chicago, 1911, 57: 1. George, Isaac, Xydas, Steve, Topkara, Veli K., Ferdinando, Corrina, Barnwell, Eileen C., Gableman, Larissa, Sladen, Robert N., Naka, Yoshifumi, Oz, Mehmet C.
It is the unique combination of Animal Model Research, Biomaterial, Surgical Procedures and Molecular Cardiology, N=33. Dr. Karl H. Krieger, the Vice Chairman of the Department of Cardiothoracic Surgery at NewYork-Presbyterian Hospital/Weill Cornell Medical Center in New York City, discusses treatment for Mitral Valve Disease. Specifically, Dr. Krieger compares the options of Mitral Valve Repair with Mitral Valve Replacement. This video with Dr. Krieger is from a web cast at the Ronald O. Perelman Heart Institute at NewYork-Presbyterian. Dr. Jonathan Chen, the Site Chief for Pediatric Cardiac Surgery at NewYork-Presbyterian Hospital/Weill Cornell Medical Center in New York City, explains how Left Ventricular Assist Devices (LVADs) work and how they can benefit patients with heart failure. LVADs are implantable devices that help the heart pump blood. They can be used as a temporary therapy, allowing patients’ hearts to rest while they recover from cardiac events such as heart attacks, or while they wait for hearts to become available for transplants. For some patients whose hearts are unlikely to recover and are not candidates for heart transplants, the devices may be used as a permanent therapy. Heart failure, especially in severe forms, can force patients to lead restricted lives because often even very limited physical activity, such as walking from one room to another, will leave them breathless. Dr. Chen is a pediatric cardiothoracic surgeon, yet the information in the video is applicable to adult patients as well. Eric A. Rose, MD, former chairman of the department of surgery, left center, performing the first successful pediatric heart transplant in 1984. Transplant pioneer Keith Reemtsma, MD, who is overseeing the operating field (top of photo). When he transplanted a chimpanzee kidney into a human patient in the late 1960’s, the late Keith Reemtsma, MD, then Department of Surgery Chairman at Tulane University, revolutionized treatment of end-stage organ failure and initiated an era of unprecedented exploration into organ transplantation that would affect the lives of patients around the world. Transferring to Columbia-Presbyterian Medical Center in 1971, Dr. Reemtsma recruited Mark A. Hardy, MD, who laid another cornerstone of organ transplant medicine by founding the program for dialysis and kidney transplantation. Dr. Hardy based the new program on the principle of collaborative clinical care between surgeons and nephrologists. During a time when renal transplant programs were managed by one or the other discipline but never by both simultaneously, the medical community regarded the concept as folly. Yet the program grew steadily, as did the program’s immune tolerance research initiatives to induce the transplant recipient’s body to accept a donor organ. This multidisciplinary cooperation also led to major contributions in immunogenetics, immunosuppression, and treatment of autoimmune diseases and lymphoma — and it ultimately became the overarching principle for all the NewYork-Presbyterian Hospital transplant services. Colleagues universally give credit to Eric A. Rose, MD, who co-founded the heart transplantation program with Dr. Reemtsma, for his successful transformation of the program into the outstanding center it is today. A parade of achievements marks the history of the heart transplant program, including the first mechanical bridge-totransplantation using intra-aortic balloon pumps in the 1970’s, and the first successful pediatric heart transplant, performed by Dr. Rose in 1984. Under the guidance of Dr. Rose and his successors, the program has pioneered research in immunosuppressant medications, mechanical assist devices, and minimally invasive surgical procedures. It currently performs over 100 heart transplants yearly, with among the highest success rates in the nation. Also in 2004, Lloyd E. Ratner, MD, succeeded Dr. Hardy as director of the renal and pancreas transplant program. One of the first to perform laparoscopic donor operations, Dr. Ratner has found creative solutions to overcome immune barriers to kidney transplantation. The program now routinely uses extended-criteria donor organs, performs transplants among incompatible donors, and is a leader in coordinating “donor swaps” to maximize availability of compatible donor organs. Since Dr. Ratner’s arrival, Columbia has been designated one of ten regional islet resource centers in the U.S. that isolate and transplant pancreatic cells to treat type 1 diabetes as part of a limited protocol controlled by the FDA. Recent progress in visualization of pancreatic islets using PET technology, under the guidance of Paul Harris, PhD, has been recognized by the scientific community as a milestone in this developing field. Transplantation of cells, rather than organs, is emerging as a therapy with enormous potential. Transplantation of either a patient’s own or a foreign donor’s bone marrow cells, for example, offers hope of regenerating the heart so that patients with heart failure may be able to avoid heart transplantation. In introducing the transplantation programs, it would be remiss to neglect mention of the yet another dimension in which they excel — education. Physician training is a top priority, and NYPH/Columbia has trained many of the greatest transplant surgeons over the last 20 years, including many of the leaders of transplant programs throughout the U.S.
At NewYork-Presbyterian Hospital/Columbia University Medical Center, the Transplant Initiative (TI) has been launched to drive the growth of both clinical and research aspects of transplantation. This multi-year undertaking will involve Departments of Medicine, Pathology, Pediatrics, and Surgery and all of the solid organ transplantation programs, both adult and pediatrics. It is led by its Executive Director, Jean C. Emond, MD. Approximately 2,200 heart transplants are now performed each year in more than 150 heart transplant centers in the United States. The surgeons and cardiologists of Columbia University Medical Center of NYPH have a long and distinguished history of advancing “standards of care” and the survival rates of our patients by using innovative surgical techniques, by applying our basic scientific research in immunosuppression to the clinical setting, and by inventing and perfecting life-sustaining cardiac assist devices that prolong life while waiting for organ availability. Columbia University Medical Center’s lung and heart-lung transplantation program, which began in 1985, is fast approaching its 200th transplant. Performing more than 30 transplants each year, the lung and heart-lung transplant teams have earned a national reputation for excellence. Our world-renowned transplantation researchers have helped lead the way to improvements in care that, nationwide, have increased the long-term survival rate for lung transplantation by 50% over the past seven years. Among those improvements are new immunosuppressive agents, new antibiotics, refined surgical techniques, and a more comprehensive understanding of follow-up care. It is the combination of basic research at the molecular cardiology level, biomaterial, surgical procedures and PUBLICATION of Cases and research results that found me in Dr. George’s territory as a renewed inspiration. Stent exteriorization facilitates surgical repair for large-bore sheath complications. George I, Shrikhande G, Williams MR.
Management of significant left main coronary disease before and after trans-apical transcatheter aortic valve replacement in a patient with severe and complex arterial disease. Paradis JM, George I, Kodali S.
Concomitant transcatheter aortic and mitral valve-in-valve replacements using transfemoral devices via the transapical approach: first case in United States. Paradis JM, Kodali SK, Hahn RT, George I, Daneault B, Koss E, Nazif TM, Leon MB, Williams MR.
JACC Cardiovasc Interv. 2013 Jan;6(1):94-6. doi: 10.1016/j.jcin.2012.07.018. No abstract available. Heart Lung. 2012 Sep-Oct;41(5):500-4. doi: 10.1016/j.hrtlng.2012.03.007. Epub 2012 May 16. Transvenous phrenic nerve stimulation in patients with Cheyne-Stokes respiration and congestive heart failure: a safety and proof-of-concept study. Zhang XL, Ding N, Wang H, Augostini R, Yang B, Xu D, Ju W, Hou X, Li X, Ni B, Cao K, George I, Wang J, Zhang SJ. Myostatin is elevated in congenital heart disease and after mechanical unloading. Bish LT, George I, Maybaum S, Yang J, Chen JM, Sweeney HL. PLoS One. 2011;6(9):e23818. doi: 10.1371/journal.pone.0023818. Epub 2011 Sep 13. Aortic root and right ventricular outflow tract reconstruction using composite biological valved conduits after failed Ross procedure. Russo MJ, Easterwood R, Williams MR, George I, Stewart AS. Ann Thorac Surg. 2011 Jun;91(6):e87-9. doi: 10.1016/j.athoracsur.2011.01.035. β-adrenergic receptor blockade reduces endoplasmic reticulum stress and normalizes calcium handling in a coronary embolization model of heart failure in canines. George I, Sabbah HN, Xu K, Wang N, Wang J.
Cardiovasc Res. 2011 Aug 1;91(3):447-55. doi: 10.1093/cvr/cvr106. Epub 2011 Apr 14. Erythropoietin derivate improves left ventricular systolic performance and attenuates left ventricular remodeling in rats with myocardial infarct-induced heart failure. Xu K, George I, Klotz S, Hay I, Xydas S, Zhang G, Cerami A, Wang J.
J Cardiovasc Pharmacol. 2010 Nov;56(5):506-12. doi: 10.1097/FJC.0b013e3181f4f05a. Myostatin activation in patients with advanced heart failure and after mechanical unloading. George I, Bish LT, Kamalakkannan G, Petrilli CM, Oz MC, Naka Y, Sweeney HL, Maybaum S.
Eur J Heart Fail. 2010 May;12(5):444-53. doi: 10.1093/eurjhf/hfq039. Epub 2010 Mar 27. George I, Shah JN, Bacchetta M, Stewart A.
Ann Thorac Surg. 2009 Dec;88(6):2022-4. doi: 10.1016/j.athoracsur.2009.04.145. Long-term effects of B-type natriuretic peptide infusion after acute myocardial infarction in a rat model. George I, Xydas S, Klotz S, Hay I, Ng C, Chang J, Xu K, Li Z, Protter AA, Wu EX, Oz MC, Wang J.
J Cardiovasc Pharmacol. 2010 Jan;55(1):14-20. doi: 10.1097/FJC.0b013e3181c5e743. Prolonged effects of B-type natriuretic peptide infusion on cardiac remodeling after sustained myocardial injury. George I, Morrow B, Xu K, Yi GH, Holmes J, Wu EX, Li Z, Protter AA, Oz MC, Wang J. Am J Physiol Heart Circ Physiol. 2009 Aug;297(2):H708-17. doi: 10.1152/ajpheart.00661.2008. Epub 2009 Jun 12. Matching high-risk recipients with marginal donor hearts is a clinically effective strategy. Russo MJ, Davies RR, Hong KN, Chen JM, Argenziano M, Moskowitz A, Ascheim DD, George I, Stewart AS, Williams M, Gelijns A, Naka Y.
Ann Thorac Surg. 2009 Apr;87(4):1066-70; discussion 1071. doi: 10.1016/j.athoracsur.2008.12.020. George I, Colley P, Russo MJ, Martens TP, Burke E, Oz MC, Deng MC, Mancini DM, Naka Y.
J Thorac Cardiovasc Surg. 2008 Jun;135(6):1372-9. doi: 10.1016/j.jtcvs.2007.11.049. George I, Geddis MS, Lill Z, Lin H, Gomez T, Blank M, Oz MC, Goodman R.
J Cell Physiol. 2008 Sep;216(3):816-23. doi: 10.1002/jcp.21461. Clenbuterol increases lean muscle mass but not endurance in patients with chronic heart failure. Kamalakkannan G, Petrilli CM, George I, LaManca J, McLaughlin BT, Shane E, Mancini DM, Maybaum S.
J Heart Lung Transplant. 2008 Apr;27(4):457-61. doi: 10.1016/j.healun.2008.01.013. Bradycardic therapy improves left ventricular function and remodeling in dogs with coronary embolization-induced chronic heart failure. Cheng Y, George I, Yi GH, Reiken S, Gu A, Tao YK, Muraskin J, Qin S, He KL, Hay I, Yu K, Oz MC, Burkhoff D, Holmes J, Wang J.
J Pharmacol Exp Ther. 2007 May;321(2):469-76. Epub 2007 Feb 2. The effect of ischemic time on survival after heart transplantation varies by donor age: an analysis of the United Network for Organ Sharing database. Russo MJ, Chen JM, Sorabella RA, Martens TP, Garrido M, Davies RR, George I, Cheema FH, Mosca RS, Mital S, Ascheim DD, Argenziano M, Stewart AS, Oz MC, Naka Y.
J Thorac Cardiovasc Surg. 2007 Feb;133(2):554-9. Discharge to home rates are significantly lower for octogenarians undergoing coronary artery bypass graft surgery. Bardakci H, Cheema FH, Topkara VK, Dang NC, Martens TP, Mercando ML, Forster CS, Benson AA, George I, Russo MJ, Oz MC, Esrig BC. Ann Thorac Surg. 2007 Feb;83(2):483-9. Clinical indication for use and outcomes after inhaled nitric oxide therapy. George I, Xydas S, Topkara VK, Ferdinando C, Barnwell EC, Gableman L, Sladen RN, Naka Y, Oz MC. Ann Thorac Surg. 2006 Dec;82(6):2161-9. Effect of passive cardiac containment on ventricular synchrony and cardiac function in awake dogs. George I, Cheng Y, Yi GH, He KL, Li X, Oz MC, Holmes J, Wang J.
Eur J Cardiothorac Surg. 2007 Jan;31(1):55-64. Epub 2006 Nov 1. Ray optics model for triangular hollow silicon waveguides. Appl Opt. 2006 Oct 10;45(29):7567-78. Adult-age donors offer acceptable long-term survival to pediatric heart transplant recipients: an analysis of the United Network of Organ Sharing database. Russo MJ, Davies RR, Sorabella RA, Martens TP, George I, Cheema FH, Mital S, Mosca RS, Chen JM. J Thorac Cardiovasc Surg. 2006 Nov;132(5):1208-12. Effect of clenbuterol on cardiac and skeletal muscle function during left ventricular assist device support. George I, Xydas S, Mancini DM, Lamanca J, DiTullio M, Marboe CC, Shane E, Schulman AR, Colley PM, Petrilli CM, Naka Y, Oz MC, Maybaum S.
J Heart Lung Transplant. 2006 Sep;25(9):1084-90. Delusional Misidentification Syndromes: Separate Disorders or Unusual Presentations of Existing DSM-IV Categories? Atta K, Forlenza N, Gujski M, Hashmi S, Isaac G.
Direct left ventricle-to-coronary artery stent restores perfusion to chronic ischemic swine myocardium. Yi GH, George I, He KL, Lee MJ, Cahalan P, Zhang G, Gu A, Klotz S, Burkhoff D, Wang J.
Ventricular assist device use for the treatment of acute viral myocarditis. Topkara VK, Dang NC, Barili F, Martens TP, George I, Cheema FH, Bardakci H, Ozcan AV, Naka Y.
J Thorac Cardiovasc Surg. 2006 May;131(5):1190-1. No abstract available. A polymerized bovine hemoglobin oxygen carrier preserves regional myocardial function and reduces infarct size after acute myocardial ischemia. George I, Yi GH, Schulman AR, Morrow BT, Cheng Y, Gu A, Zhang G, Oz MC, Burkhoff D, Wang J. Am J Physiol Heart Circ Physiol. 2006 Sep;291(3):H1126-37. Epub 2006 Apr 14. Predictors and outcomes of continuous veno-venous hemodialysis use after implantation of a left ventricular assist device. Topkara VK, Dang NC, Barili F, Cheema FH, Martens TP, George I, Bardakci H, Oz MC, Naka Y.
J Heart Lung Transplant. 2006 Apr;25(4):404-8. Epub 2006 Feb 28. George I, Hardy MA, Widmann WD. Curr Surg. 2004 Sep-Oct;61(5):439-41. No abstract available. Multiple-scattering lidar retrieval method: tests on Monte Carlo simulations and comparisons with in situ measurements. Bissonnette LR, Roy G, Poutier L, Cober SG, Isaac GA.
Appl Opt. 2002 Oct 20;41(30):6307-24. Pre-operative Risk Factors and Clinical Outcomes Associated with Vasoplegia in Recipients of Orthotopic Heart Transplantation in the Contemporary Era. Patarroyo M, Simbaqueba C, Shrestha K, Starling RC, Smedira N, Tang WH, Taylor DO. associated with high mortality and morbidity. within the first 4 postoperative hours. 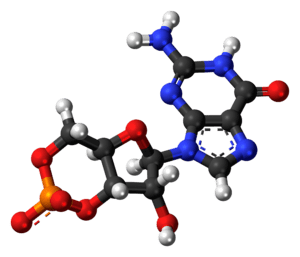 Methylene blue and vasoplegia: who, when, and how? Stawicki SP, Sims C, Sarani B, Grossman MD, Gracias VH. secondary to direct and indirect effects of multiple inflammatory mediators. 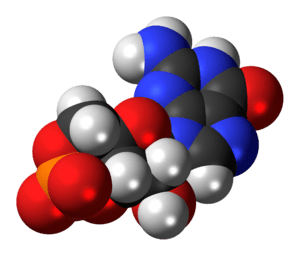 Vasoplegia has been observed in all age groups and in various clinical settings, such as anaphylaxis (including protamine reaction), sepsis, hemorrhagic shock, hemodialysis, and cardiac surgery. 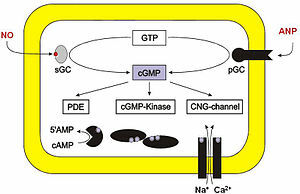 Among mechanisms thought to be contributory to VS, the nitric oxide (NO)/cyclic guanosine monophosphate (cGMP) pathway appears to play a prominent role. the refractory hypotension associated with endothelial dysfunction of VS.
METHODS: We reviewed peri-operative data from 311 consecutive adult patients who underwent OHT between January 2003 and June 2008.
between 6 and 48 hours after surgery. a higher rate of previous cardiothoracic surgery (79% vs 48%, p = 0.0006). less treated with milrinone (14.7% vs 45.8%, p = 0.0005). higher mortality (3.2% vs 17.1%, p = 0.0003) and morbidity in the first 30 days after transplant. were independent risk factors for development of vasoplegia syndrome. are risk factors associated with development of vasoplegia syndrome.